The padlock is in fact a practical portable closing system which, in addition to being used for more than 2000 years as a security device, during the course of its history has also been associated with the concept of loyalty and eternity. 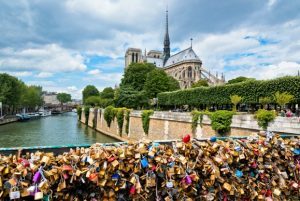 In more recent years, the belief has spread that if a couple attaches a padlock on any surface of a bridge or a nearby street lamp and then throws the key into the river they cannot be separated until the key is found, and so their love could last forever. This legend seems to have been born more than fifty years ago in Italy, and it was introduced by the cadets of the School of Military Health in Costa San Giorgio who, at the time of graduating, tied the padlock of their locker on a metal bar over the parapet of the Ponte Vecchio in Florence. This custom gradually become more popular over the years and led to the appearance of an ever-increasing number of padlocks, becoming an international phenomenon. Today the custom of attaching padlocks on bridges has spread to many locations and the tradition of love padlocks was made known throughout Italy by Ponte Milvio in Rome, thanks to the book and the film “I want you” by Federico Moccia, together with the popular song with the same title by Tiziano Ferro, which made padlocks become, in the imagination of young people (but not only!) a symbol of eternal love. This custom then spread to other Italian towns such as Naples, Verona and Milan and, as we said, even abroad. In China, for example, it is not bridges that are used, but the Great Wall! Viro has always made padlocks to offer protection and security and also, in line with the ever-increasing number of requests, it offers the possibility of customising the products purchased with words or logos, based on the taste and desire of those who order them. Who knows? 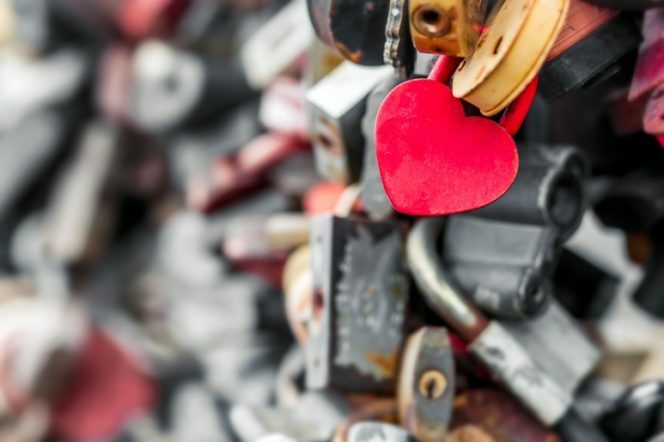 On the occasion of Valentine’s Day someone might want to give a strong and at the same time unique padlock as a present!